It’s no secret that Toyota CEO Akio Toyoda is an experienced race car driver and serious gearhead, and finally he’s made something happen that should’ve been done years ago. Automotive News has learned that Toyota will soon launch a "sports car" line that will essentially be the equivelant of Lexus’ F- series. Sounds good, right? 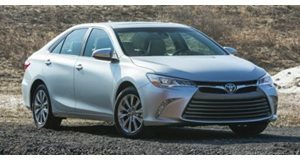 Of course, but here’s the kicker: it’s not confirmed yet whether these performance Toyotas will be sold outside of Japan. Also unknown at the moment is what exactly Toyota plans to name the series, but an official announcement is planned for some time next month. What the North American market does have is the Toyota Racing Development lineup, and in Europe there’s its GRMN offerings, previously called Gazoo Racing. But there’s another major factor here that we don’t think is a coincidence, timing wise: the upcoming reborn Supra. We’re expecting its reveal very soon, considering its BMW platform mate, the Z4, was just shown in concept form at Pebble Beach last week. The launch of the new Supra has been anticipated for a few years now, and having a new “sports car” series to go with it could be the ideal combo. We’re not expecting tarted up Camrys and Corollas here, but given that Lexus has done a pretty good job with its F series gives us faith Toyota will make good. 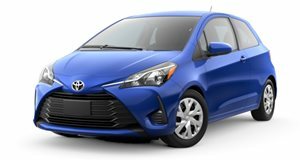 But if we could offer one suggestion, just off the top of our heads, it would be this: another GRMN supercharged version of the Yaris. What a great Fiat 500 Abarth and Mini Cooper JCW fighter that would make.